LLC "KRES-Alliance" is actively involved in trade and investment projects related to the export to the neighboring countries of electricity generated Kola power system, as well as projects aimed at the convergence of energy markets of Russia and Scandinavia. In 2009, the company "KRES-Alliance" acted as integrator of energy corridor from Russia to Finland in the "power center Kovdorsky» (the "energy corridor») with applying a direct current (VAC), developed by Siemens, for asynchronous communications power systems of Russia and Finland. The "energy corridor" is an innovative and unique for Russia. It is based on the use of completely different intellectual ideology of the electrical control network associated with the development of active-adaptive (intelligent) networks, and aims to integrate energy markets of Russia and the Scandinavian countries. 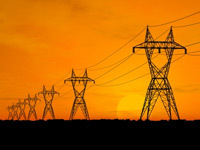 The project involves the use of the existing network in the region of 150 kW with relatively little work on its reconstruction for the issuance of the necessary capacity to 200 MW in the area of ​​the Russian-Finnish border, where it is assumed construction of the modern DC link current capacity to 300 MW. Further, the electricity in Finland to be transmitted along the lines of 220 kV substation in the area of ​​the node Pirttikoski where it enters the national network in Finland «Fingrid», connected in turn to the networks of other Scandinavian and European countries. It is, in fact, is the merger of the Russian energy market with the market throughout Europe. As potential interested parties of the project from the Russian side are the JSC "Concern Rosenergoatom", JSC "IDGC of the" North-West ", JSC" INTER RAO UES ", OAO" UES FGC ", the Government of the Murmansk region. 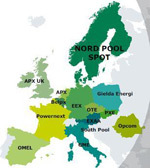 Increased interest in the project "energy corridor", show Scandinavian colleagues - market operator Nord Pool Spot and the network, the system operator Fingrid Oy. In their view, the organization of cross-border relations for two-way transmission of electricity and power is a measure that improves the reliability of power supply and reducing prices due to direct competition with suppliers from different countries. Initially, the development of the "energy corridor" adopted the concept of a phased implementation. The project provides an opportunity to profit from the export-import activity stakeholders have to complete the first phase. At the same time the total amount of power transmitted in the framework of export and import activities through a network of 150 kV can be about 300 MW during normal operation of the installed equipment. During the work on the project "energy corridor" LLC "KRES-Alliance" organized and conducted more than a dozen workshops and meetings with potential participants both in our country and abroad . The next stage of the project will be to develop a detailed business plan and a connection to the negotiations, as potential investors and market regulators and infrastructure on the Russian side, as well as the coordination of positions of the system operator SO UES and RAO.